A few weeks ago, a new study on injuries from golf support showed that lower back injuries account for 15.2% to 34% of all golf injuries, followed by injuries to the elbow (7% to 27%), shoulder (4% to 19%) and wrist 10%. 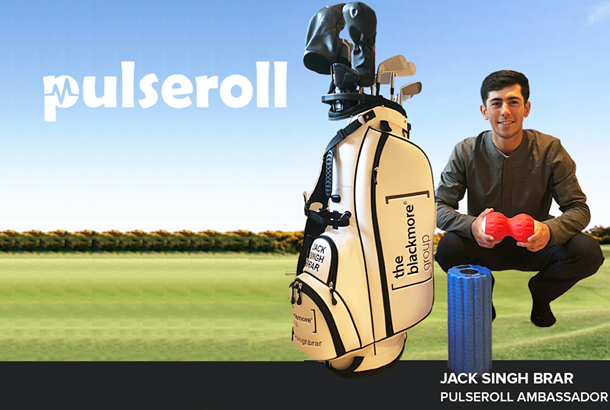 Pulseroll, who have teamed up Walker Cup star and recent Alps Tour winner Jack Singh Brar, are leaders in vibration training and recovery providing products to elite athletes, sports teams and fitness enthusiasts to recover faster after exercise and injury. Here at TG we believe it's important that you get the best out of your game, which is why we've teamed up with Pulseroll to give two lucky readers the chance to win a vibrating foam roller in order to help with faster recovery after exercise and injury. To find out more about their product, follow their social media channels on instagram, twitter and facebook or visit their website, pulseroll.com (Use JACK20 for 20% off).